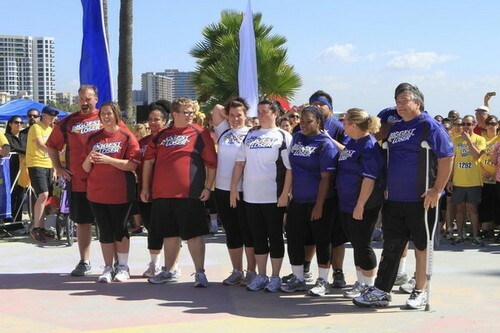 Tonight on NBC THE BIGGEST LOSER returns for an all new episode. On tonight’s show called “Pay It Forward” Trainers make surprise visits to the children’s homes. Did you watch last week’s show? We did and we recapped it here for you? On last week’s show “Cutting the junk” was last week’s theme, and the players began with a trivia challenge testing their knowledge about childhood obesity. The losing team, the Blue Team had to spend 4 ½ hours each day – the amount of time the average kid spends watching TV – in a room surrounded by junk food, soda and video games. At the weight in the Red Team lost and had to lose one player. No one wanted to go home. Joe had the highest percentage of weight loss so he was safe. With three votes, Cate was eliminated, she was not The Biggest Loser. On tonight’s show the contestants are on their own this week when trainers Bob, Jillian and Dolvett leave town to surprise kid participants Bingo, Lindsay and Sunny and their families with a visit to their hometowns. Some players struggle without their trainer, but others rise to the occasion, and an unexpected leader emerges. In honor of this week’s “Pay it Forward” theme, contestants run a 5K and money is donated to a local Boys and Girls Club, with the winning team earning $15,000 to split among themselves. The trainers plan special surprises for each kid in their hometown before returning to the ranch in time for last chance workouts, when Jillian has a run-in with a player on another trainer’s team. Later, the weigh-in brings welcome news to one player who has been struggling, before another player is sent home. The Biggest Loser season 14 episode 4 airs at 8PM on NBC and we will be live blogging it with all the up-to-the-minute details. So make sure to come back to this spot and spend the evening with us! Make sure to refresh often to get the most current details! While you wait for the recap, meet the contestants for Season 14 HERE! Alison, Bob, Dolvett and Jillian walk in and tell the remaining contestants that Cate is gone but she is not the only people leaving 3 more people will be leaving tonight. The contestants were shocked, but then Alison lets them know it is Bob, Dolvett and Gillian that are going to visit the kids. This week the remaining contestants will not have a trainer. The trainers will be back in time for the last chance workout. Before they leave they are going to give everyone tips. Each of the trainers meet with their teams and tells them what they have to do. The trainers are on their way to visit the kids and the kids have no idea that the trainers are coming. 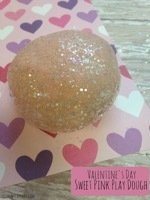 Dolvett visits Lindsay at school, Jillian shows up while Sunny is studying, Bob visits Bingo at home during dinner. The Red team is headed to training without their trainers and they know they are coming off a low week. Lisa is concerned they don’t have Dolvett. The Blue Team works hard even thought Bob is not there. Jackson is trying to motivate the red team and wants to show them he is pulling his weight. Jillian is getting a chance to site down with Sunny alone at her house, she wants to get to the bottom of her problem. Jillian feels Sunny is cracking under the pressure trying to be live up to her parents expectations. The contestants are heading to the challenge and they are all hoping it is not a water challenge. Alison tells them it is all about paying it forward and they are all going to run a 5K marathon. The contestants are horrified. The Biggest Loser will give $7,500 to the Boys and Girls Club. Also the winning team today will get $15,000 to split, second place gets $5,000 and the third place gets $2,500. Alison is going to help them by running with them. The contestants are nervous, they have never ran a 5 K in their life! The White team’s Danni came in first. Joe for the Red team came in second. Danni sees Pam from the White team coming and she runs out to meet her. Pam comes in third. Francelina was 4th, Lisa was 5th, Jackson 6th place. Gina came 7th, Jeff 8th, Michael 9th The rest of the team run out to meet Alex who came in 10th. White team won $15,000 and there are only two of them so $7,500 each, they ran in 38 minutes and 28 seconds. Jillian has come up with a plan to get Sunny moving and out of the house. Sunny and Jillian are going to learn how to row with a crew team. Sunny would not have tried something like this in the past, because she would have been afraid not to be able to keep up. Bob has a surprise for Bingo he is getting to meet baseball player, Brandon Erbe. Bingo gets to play ball with Bob and Brandon. Bingo loves baseball. The trainers get back to the ranch, the contestants welcome them back. The red team tells Dolvett that Jackson became Action Jackson and motivated the team and led them. Dolvett is thrilled. The White team tells Jillian that they did well and hit their numbers and every day. They also let Jillian that they won $15,000. Bob asks his team how their energy was and they tell him they missed him. Bob has a bad feeling about their reaction and thinks it did not go as well as he would like. Last chance workout – the trainers tell their teams that this is the last chance and they need to work. The White Team and the Blue Team decided to workout together. Bob wants to make sure everything they do adds up to one week of a workout. Dolvett is shocked that Jackson is leading the team and not Joe. Dolvett does not think Joe works as hard as he could and has not stepped up to the plate. Dolvett is worried because Joe does not want to work. Joe leaves the gym once he finishes the tread mill. Joe claims his leg is bothering him, but Dolvett does not buy it. Bob is pushing his team and so is Jillian. The White Team seem more focused than the Blue Team. Jeff is not pleased he is stuck with Jillian, he does not like her style. He does not like her negative reinforcement. Jeff starts snapping back at Jillian and tells her she has not been there all week. Jillian tells him to be the man she knows he should be. Jillian thinks he has an attitude and Jeff tells her she does too. Jillian gets fed up and she tells him to go back to Bob. TOTAL: 34 lbs and 3.16% THE RED TEAM IS SAFE FROM ELIMINATION! The White Team loses the weight in this week and since the White Team only has two member and PAM has the lowest percentage of weight loss she is automatically eliminated and she is not the Biggest Loser.